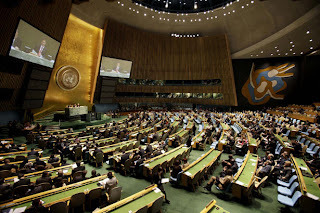 UN Headquarters, New York, U.S.
“Adjustment or settlement of international disputes or situations by peaceful means” - This the official theme for the latest gathering of the World's political leaders, as speeches are made and resolution propositions are up for negotiation at the Rockerfeller-financed headquarters in New York, U.S.A.
Iranian President Mahmoud Ahmedinejad delivered his statement to his counterparts, although the United States and Israel failed to make an appearance at all on the 26th September's proceedings, stating their reason being that their respective representatives were observing the holy Jewish day of Yom Kippur. 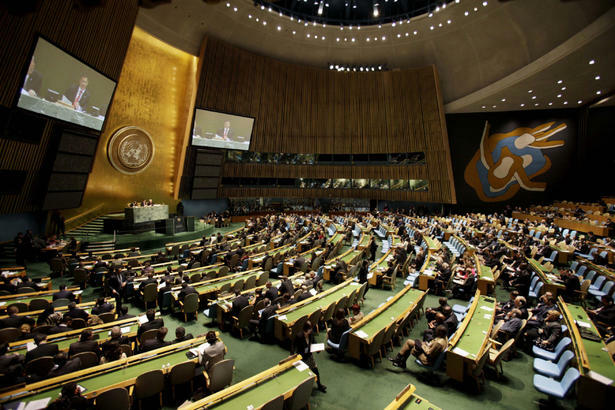 The Canadian delegates were a bit more ballsy; "We will not sit silently in our chairs and listen to Iran's hateful, anti-Western, anti-Semitic views. 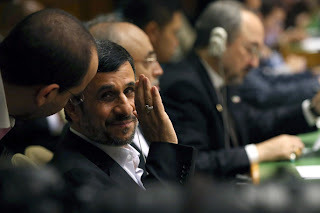 If anything, today's address only reinforces our decision earlier this month to suspend diplomatic relations with Iran," said Rick Roth, a spokesman for Foreign Affairs. 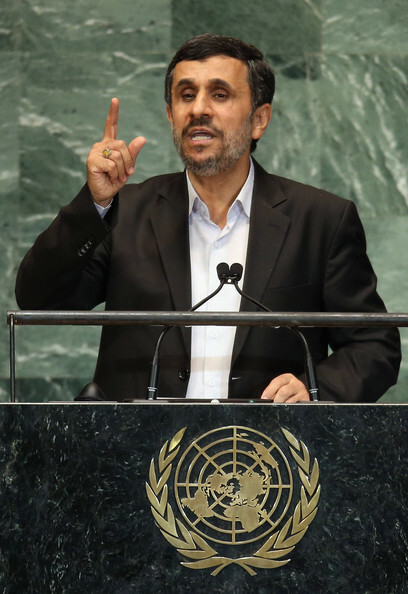 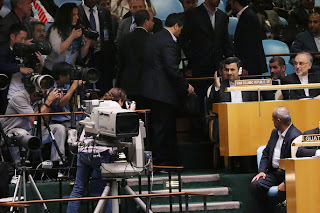 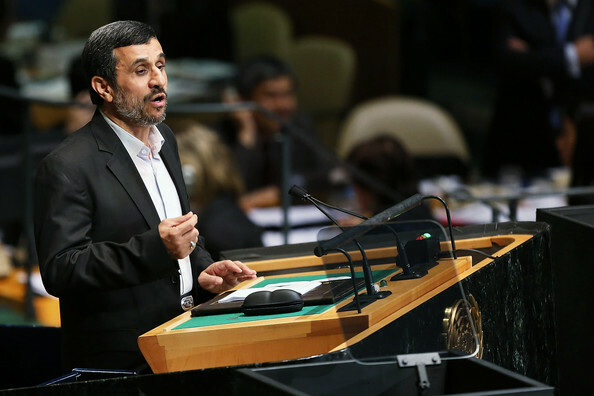 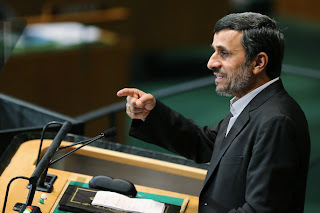 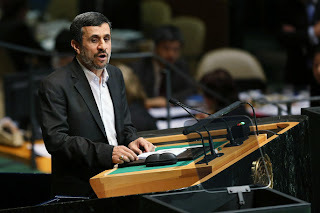 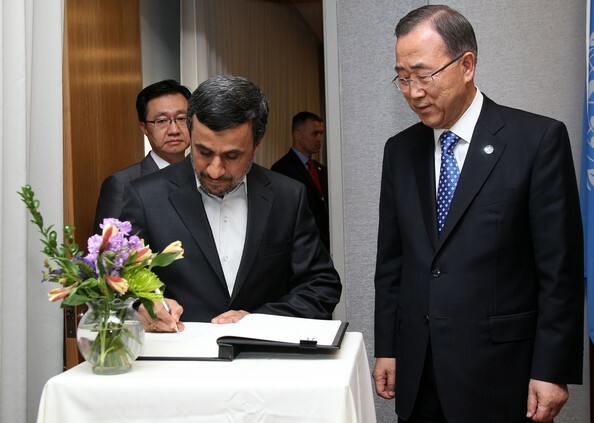 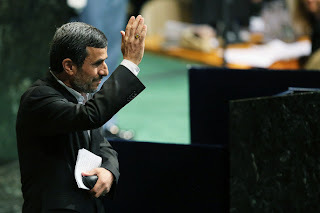 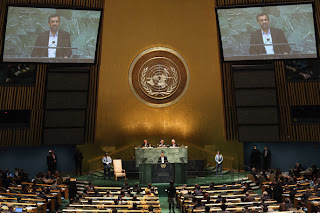 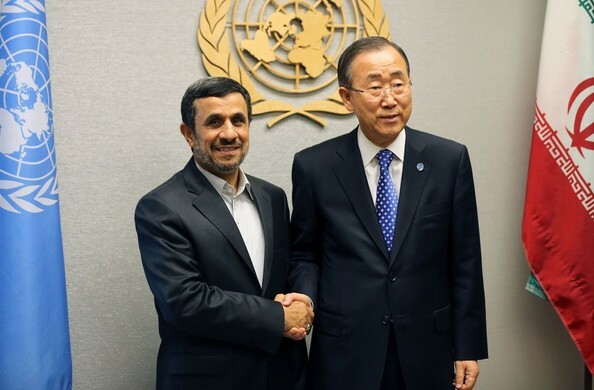 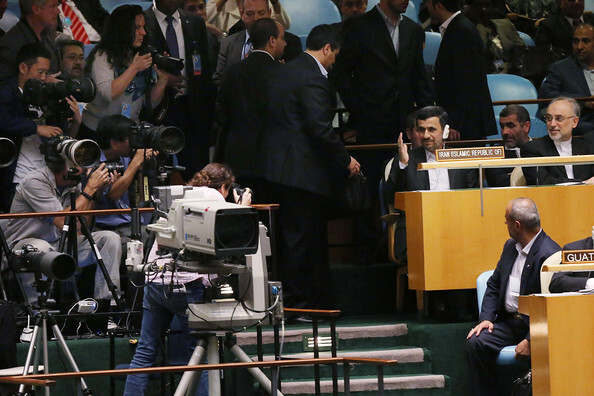 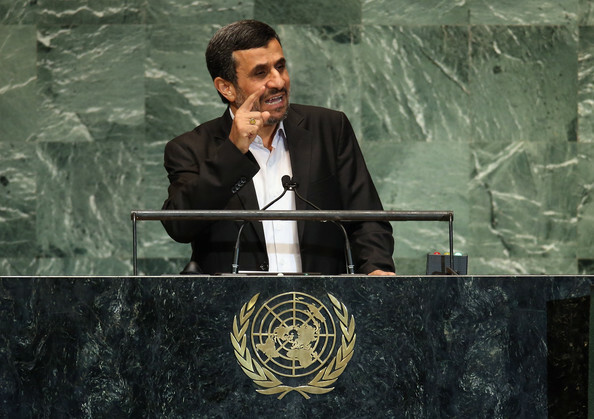 Keeping in line with the General Debate's theme; Ahmedinejad's speech mentioned the words peace, love and justice 12, 13 and 15 times respectively. 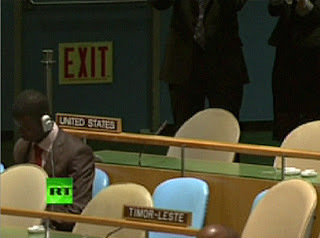 His address was overall more relaxed than his previous efforts, where he gave a vigorous stance on Iran having the right to defend itself via acquiring nuclear weapons if it so wishes to do so (as have many other countries throughout the world); something the U.S. and its allies are staunchly opposed to. 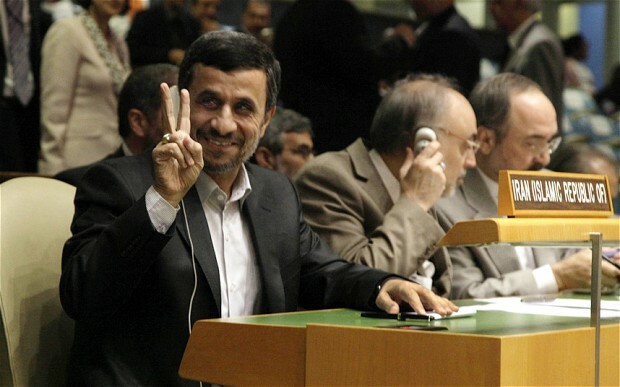 Sources: Russia Today, The Telegraph, and CNews.